One of my guilty pleasures is booking a week at an all inclusive and doing a whole lot of nothing. 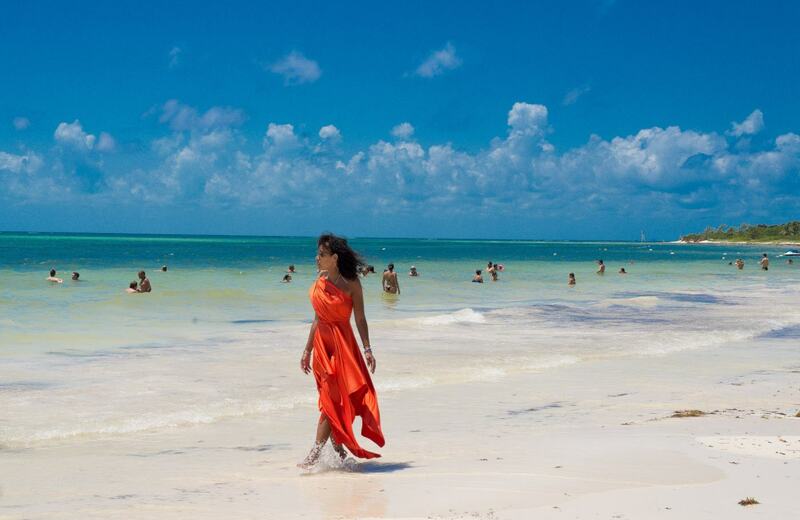 But there is definitely an art to enjoying your time at an all inclusive. 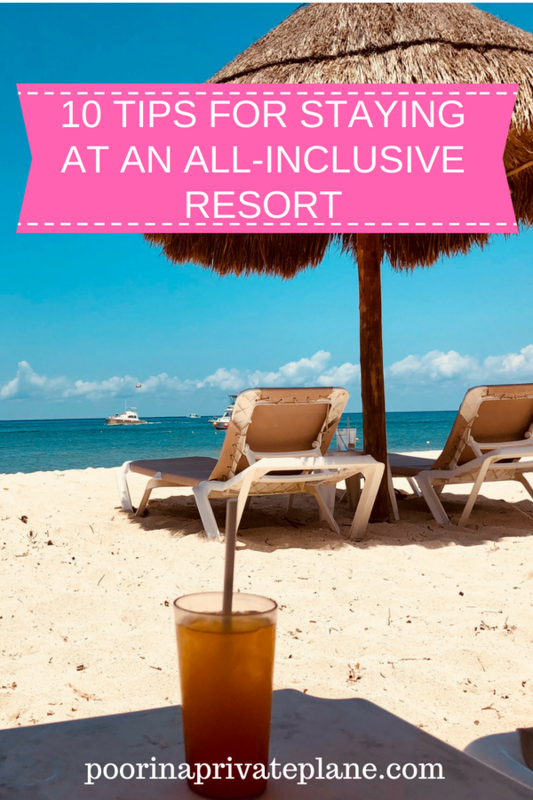 For the last 15 years I have been visiting all inclusive resorts in Mexico and the Caribbean with my husband so I decided to share a list of our top 10 tips for staying at an All Inclusive. Before I get into the list I have to share that I just got back from a wonderful five day stay at an all inclusive in Mexico. Our original plan was to head to Canada but with a little travel roulette we ended up in Mexico. 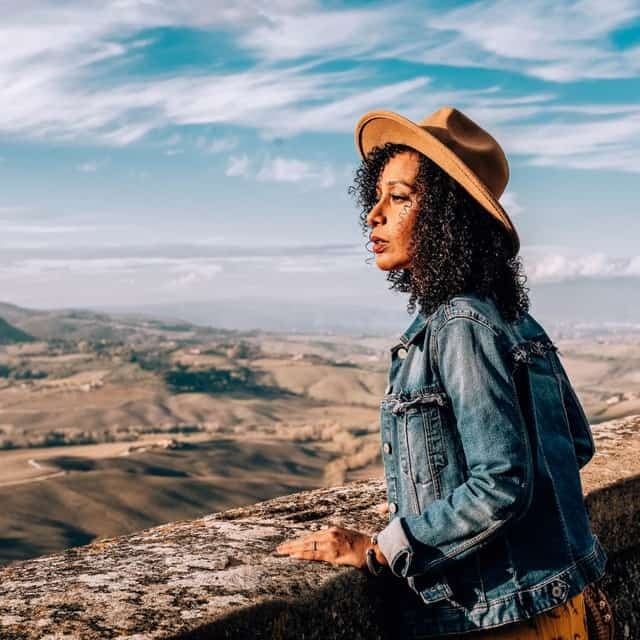 After spending the first part of the year traveling all around North America on one adventure after the next we needed a break. I desperately was looking for just some “time off”. I ate, drank, read, slept and even blogged a bit. But it was the most amazing five days of my life. We all need that little break here and there. Ok so lets get to my top 10 tips for staying at an all inclusive. (Bonus: Some of these apply to cruising as well so if you’re going on a cruise make sure to bookmark this for reference). Not all resorts are created equal therefore you should always know before you go. An all inclusive an be a great deal however if you do not know what you are getting for your money costs can add up really quick. 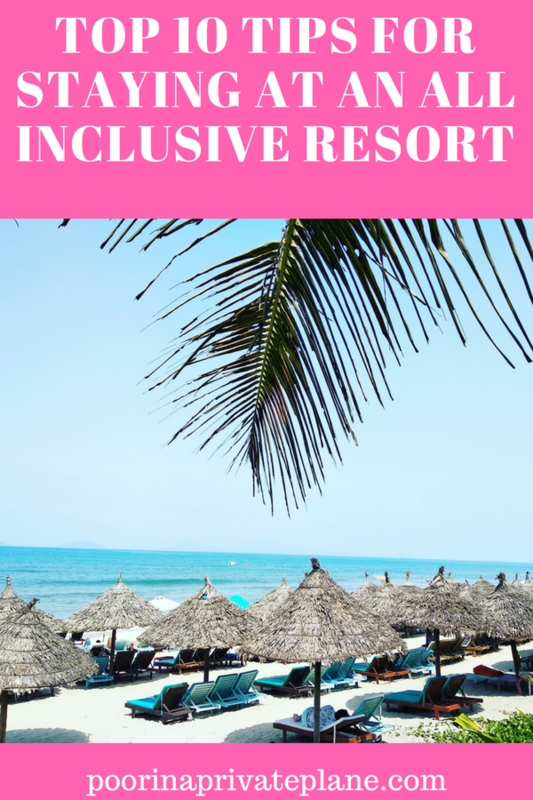 Look for resorts that are truly all inclusive. I personally look for a resort that has a good activity schedule. I have stayed at resorts that include everything from paddle boarding, to kayaking. 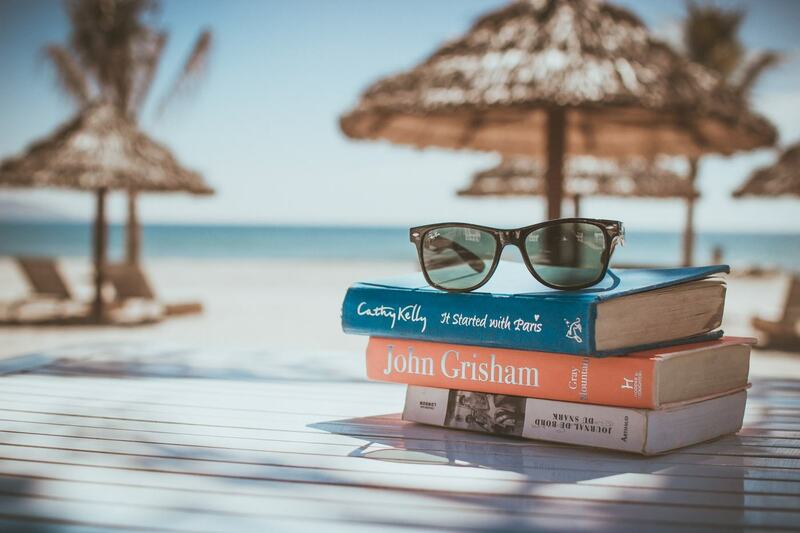 Even if you are planning on lounging under a Palapa all day sipping on daiquiris it is nice to know that you can do yoga on the beach or take a guided bike tour into town if you really wanted to. .
After you have done your research and are ready to go make sure you are planning ahead. For example if your resort offers yoga classes in the morning make sure to pack a workout outfit (I usually go for a light pair of capri yoga pants and a sports bra that I can easily hand wash in my sink after use). Make sure you have enough sunscreen for your stay. I always pack at least two bottles for my stay. Sunscreen is expensive at most of these resorts. You definitely don’t want to have to pay $30 for a sunscreen that you can get at home for under $10. Don’t forget bug spray. Although a lot of resorts take measures to manage mosquitos they still exist. Don’t take that chance. Be sure to pack your bug spray of choice. Whether you do it before your arrival or at the front desk the one thing that can ruin a vacation is not being able to eat a nice dinner at one of the many restaurants the resort has to offer. All resorts have different policies regarding reservations so ask in advance what the policy is. I have stayed at resorts where you can prebook dinners for the week and others that required you to book on the same day. The last resort I stayed in didn’t require reservations which I loved. However the waits for the restaurants varied from 30 minutes to over an hour so we definitely had to plan ahead. 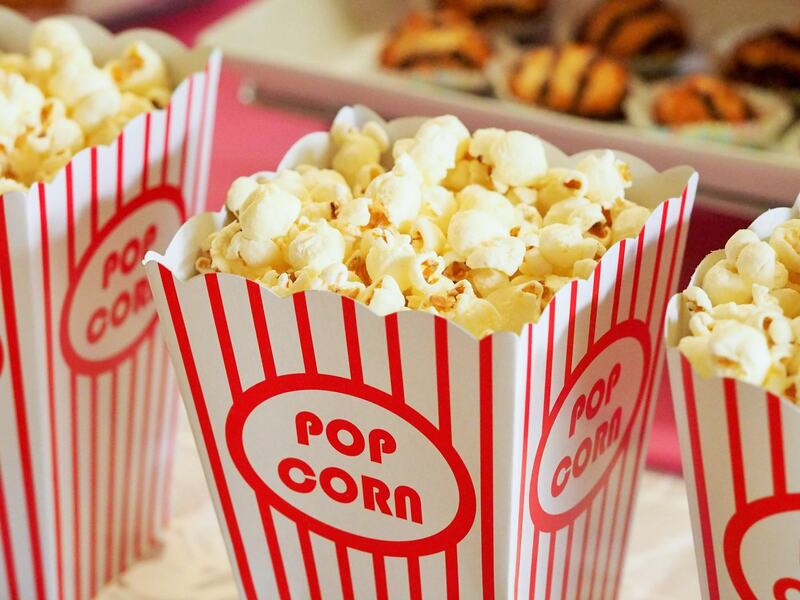 Know what you’re getting into so you can enjoy a nice dinner with friends and family without the stress. Yes, all inclusive means your food and drink is included however if you want a special bottle of wine or a lobster some resorts charge for that. Before you say yes to uncorking that bottle make sure that it is included. The worse is checking out to a $500 bill because you went crazy on the lobster and champagne. Although most resorts claim that gratuities are included, tipping your servers goes a long way. I usually will bring about 50-100 singles that I will give to my servers and bartenders. They will go out of there way to get you whatever you want. 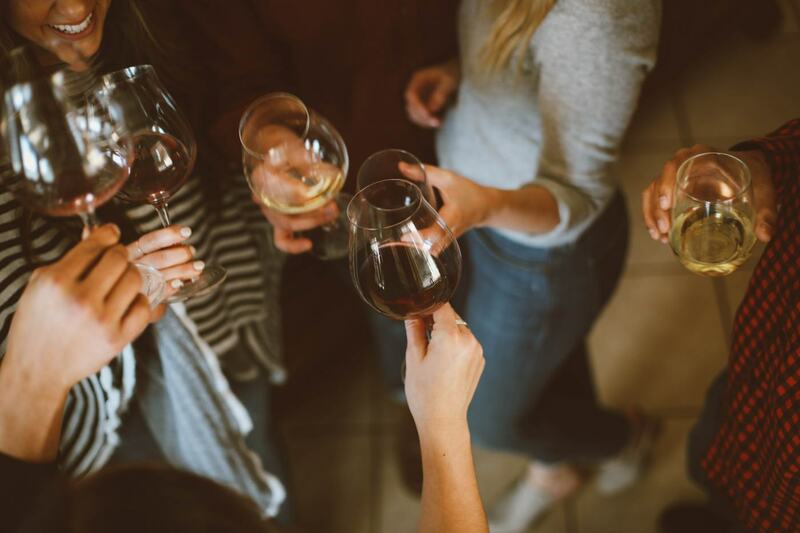 Whether it is a top shelf liquor that is technically “not included” or making sure your glass is never empty tips are very much appreciated by the staff and they will make sure to show you their appreciation. 6. Pack a reusable tumbler. Bringing an insulated tumbler will be the best decision you will ever make. I cannot tell you how many time people comment on how smart we are because we are walking about with our insulated tumblers. Not only do our drinks stay nice and cold but because of the size of our tumbler we usually end up making less trips to the bar. This is where tipping your servers comes in handy too. They will be more likely to fill up your 32oz Yeti and keep it nice and full for the duration of your stay. So don’t forget to pack those singles. Ok. I am not saying to pack the whole cabinet but put together a mini first aid kit with aspirin, pepto, benadryl, bandaids and other medication that may come in handy. After a day in the sun and one too many margaritas you will thank me when you wake up in the morning and do not have to go searching for Ibuprofen while your head is pounding. Also did I mention sunscreen. Pack ALOT of sunscreen. You will be surprised how quickly you get through it. So this is a practice that many people frown upon however it is a reality. You wake up, go to breakfast, and head out to the pool only to realize that every single lounge is taken. Plan ahead and grab your spot first thing in the morning. 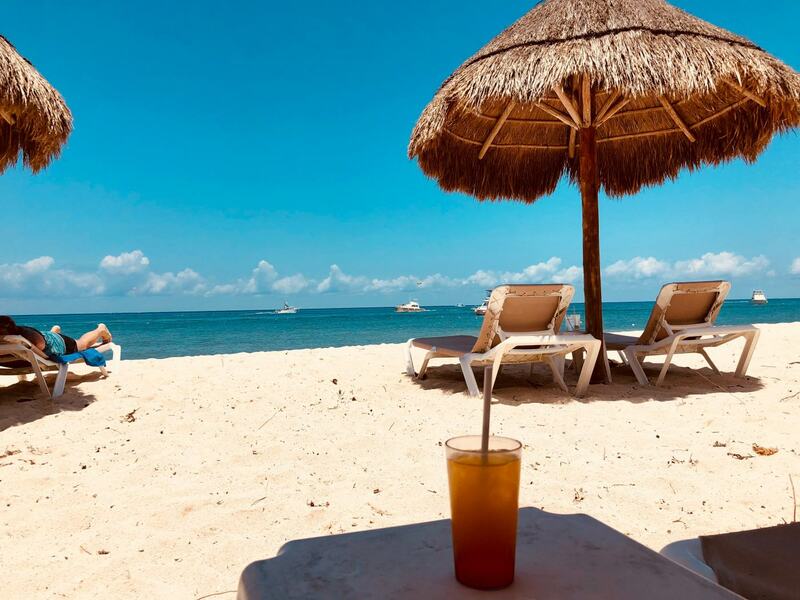 I personally will get up, have a light breakfast and claim my spot under a Palapa on the beach (because I like my shade). We then will step away for breakfast, lunch or a swim throughout the day. I have no issue with people claiming their spot however don’t be that person that claims 8 chairs and then goes back to the room to sleep the day away. Unfortunately we have to play the game but don’t be a [insert expletive of choice]. When vacationing anywhere I always swap my valuables for less expensive versions. For example I pack only costume jewelry that I would not miss if loss. My sunnies are from the dollar store. If I am feeling fancy I may invest in a $5 pair. You will not be happy watching your Gucci’s floating away into the Caribbean sea. Trust me. I know. I always go binge shopping on costume jewelery and sunnies before my trips. If it gets lost or damaged it is not a big deal. And if you insist on packing valuable then make sure you are minding your belongings. Just the same as you wouldn’t leave your iphone visible and unattended at a public beach at home you should not do it at a resort. It is best to leave your belongings locked in the safe. You are on vacation. Do you really need to have your phone anyway. I always opt to keep my valuables at home however if you must keep everything in the safe. It is not necessary to walk around the pool in your $1000 sunnies and $1500 gold chain. You think you look cute but your are going to be very unhappy if your stuff goes missing. So now that you know my top tips for making the best of your all inclusive experience here is a roundup of some of the properties I have visited recently. If you have any specific questions about any of these properties please do not hesitate to reach out to me. I will be happy to share my experiences at any of the resorts below. I just visited this place. There are always great deals for this place and you really do get a lot for your money. This is one my faves. I spent 10 days here and it was fabulous. If you are looking to be spoiled this is another one of my faves. Excellent restaurants with no reservations required. Waits could be long for seating at restaurants however each restaurant has a specialty bar which makes the wait easy. Have you been to an all inclusive? How do you feel about them? I would love to hear any tips or tricks you may have when visiting an All Inclusive. Happy traveling. Thank you. And that is such a good idea. First row is prime property. HAHA. Saves you the trouble of getting up at sunrise. Thank you. And I believe it. I know a lot of people that have never been to an All Inclusive. Some people don’t care for them because they do not see it as “traveling”. For me it really is my vacation from vacation. I have to do one at least once a year.